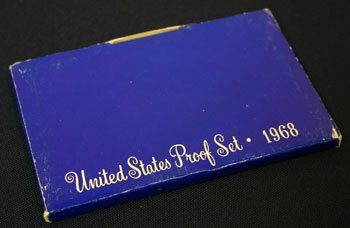 The US Mint resumed production of the proof set in 1968 with new packaging and a price increase. 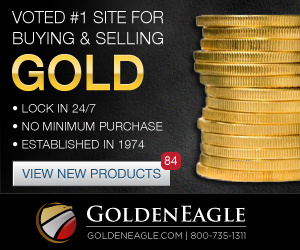 Though collectors ordered over 3,000,000 of the new proof set, some claim the price increase prevented a new record number being sold. 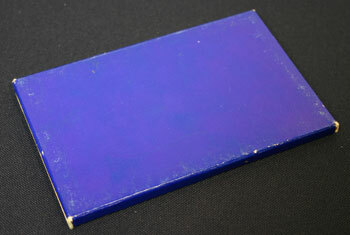 The outer blue box dimensions are roughly 3 1/2 by 5 3/8 by 3/8 inches. 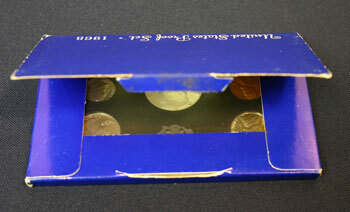 The back of the 1968 proof set box did not contain any identifying marks or additional lettering. The box wrapped around the plastic lens without glue holding the edges together. The box fastened together along one of the long edges with a tab. The plastic lens fit snugly within the outer blue cover. 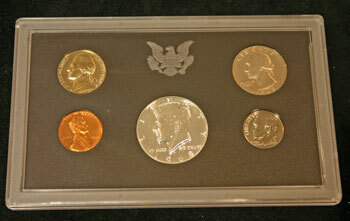 The 1968 Proof Set package included five coins held in a black plastic sandwiched between clear outer plastic covers. 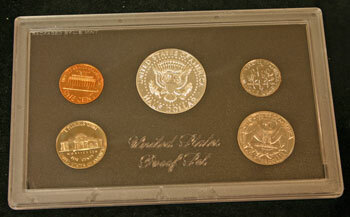 The 1968 Proof Set's Half Dollar was different in that it contained 40% silver and 60% copper. 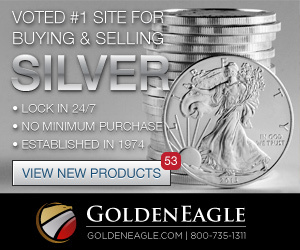 Due to the Coinage Act of 1965, the Quarter Dollar and Dime consisted of 8.33% nickel and the remaining of copper. 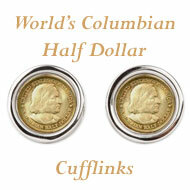 The five cent coin (nickel) was made of 75% copper and 25% nickel, and the cent was 95% copper and 5% zinc. 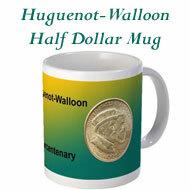 For the obverse of the proof coins, the clear plastic lens included a heraldic eagle formed in the plastic and centered over the half dollar. 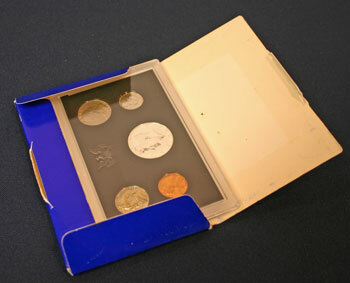 For the reverse, the lens included the script "United States Proof Set" molded in the plastic below the half dollar's reverse and between the nickel and quarter. 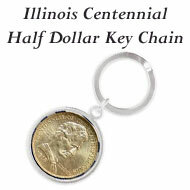 The 1968 half dollar included the John F. Kennedy portrait. Kennedy's portrait facing left was developed by chief engraver, Gilroy Roberts, very quickly after the president's assassination. The words on the obverse include "LIBERTY" around the top and "IN GOD WE TRUST" across the bottom of the portrait with the date at the bottom of the coin. 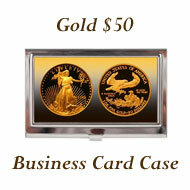 The coin's reverse includes the heraldic eagle from the presidential coat of arms. 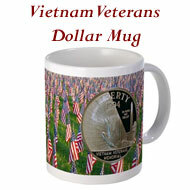 "UNITED STATES oF AMERICA" circles the top portion with "HALF DOLLAR" at the bottom. "E Pluribus Unum" can be found on the ribbon held by the eagle. 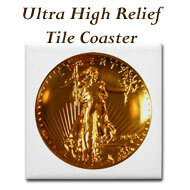 You can read more from the US Mint about the Story of the Kennedy Half Dollar. In 1968, the obverse design included the portrait of George Washington and the words: "LIBERTY," "IN GOD WE TRUST" and the date. The US Mint introduced the quarter dollar with the portrait of our first president in 1932 to commemorate the 200th anniversary of his birth. 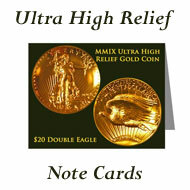 On the reverse, an eagle stands with wings outspread clutching a bunch of arrows in its talons with two olive sprays crossed beneath his tail feathers. 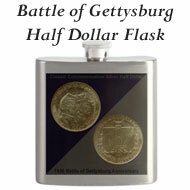 The words on the reverse include: "UNITED STATES OF AMERICA," "E PLURIBUS UNUM" and "QUARTER DOLLAR." The 1968 dime's obverse shows an image of President Franklin Roosevelt. After his death in 1945 and many requests to honor the late president, the US Mint released the Roosevelt dime on the late president's birth date in 1946. 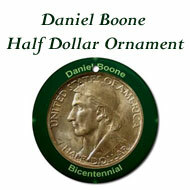 The words on the obverse include "LIBERTY," "IN GOD WE TRUST" and the year. The coin's reverse shows an olive branch, a torch and an oak branch with the words "E PLURIBUS UNUM" across them. The words "UNITED STATES OF AMERICA" flow around the top of the reverse with "ONE DIME" on the bottom. The US Mint produced the first Jefferson nickels in 1938. The portrait of Jefferson on the coin's obverse copied the portrait painted by Rembrandt Peale in 1800. Jefferson faces left in the portrait with the profile showing his prominent forehead and colonial hair. The words on the face of the coin say "IN GOD WE TRUST," "LIBERTY" and the year. The 1968 nickel's reverse shows Jefferson's historic home, Monticello, in Charlottesville, Virginia. "E PLURIBUS UNUM" fits above Monticello, and "UNITED STATES OF AMERICA," "MONTICELLO" and "FIVE CENTS" show below the home. The US Mint presented Abraham Lincoln's image on the obverse of the one cent coin in 1909 to commemorate the 100th anniversary year of his birth. The image shows Lincoln facing to the right in the portrait with his iconic beard, suit coat and tie. 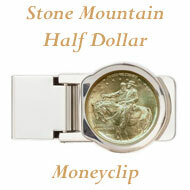 The motto, "IN GOD WE TRUST" was first introduced on coins with the Lincoln cent. 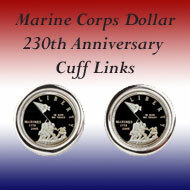 The coin's obverse also includes "LIBERTY" and the date. The 1968 cent's reverse shows the Lincoln Memorial with the inscriptions saying "UNITED STATES oF AMERICA," "E PLURIBUS UNUM" and "ONE CENT." The world population in 1968 was 3,562,353,760. This represents 52.0% of the world's population in 2010. $100 in 1968 equals $626.60 in 2010 dollars using the Bureau of Labor Statistics' Inflation Calculator. New houses in 1968 cost an average of $26,600 which would be $166,676 in 2010 dollars. The average income was $5,572 per year which equals $34,913 in 2010 dollars. Gas was $0.337 per gallon which would be $2.112 in 2010 money. The average new car was $3,157 equivalent to $19,784 in 2010.